Christmas is coming (yes, my liberal friends… so is Hanukkah… so is Kwanzaa) and do you know how I know for sure? Because I watched the Falcons/Browns game in real time on Sunday and threw two shoes, a magazine, and an empty popcorn bowl at my television after the eleventh time I heard the “Every Kiss Begins with Kay” song. FOR THE LOVE OF NOT-YET-BORN BABY JESUS, WHY do they torture me? Don’t they know it’s my day off? The upside to all of the jingles, bad graphics, and fake proposal watching is that it gave me the idea for this here blog post. I know it’s not original – I mean, it sort of *is* that time of year for Christmas gift guides and “what to buy” posts, but, I promise you I’ll do my best to put a creative spin on it, cool? Cool. So here we go… here’s what I think every woman in your life should get as a gift from you this Christmas (or Hanukkah, or Kwanzaa, or Festivus) and why. How many times has she told her labor story to you by now? A hundred? A thousand, maybe? And do you know why she keeps reminding you about the pain, discomfort, and stretch marks that still exist after all these years and six laser treatments to try to get rid of them? Because your head is f*cking huge, that’s why. It’s huge now, and it was huge then, when it was forcing its way through a tiny little cavity that was used to things going into it, not coming out of it. The experience scarred her for life which is why she questions time and time again why she ever went through it all over when your sister was born. This woman deserves the Cullinan II, but since you’re likely not willing to get arrested trying to steal it from the British Crown Jewels (wimp! ), I recommend that you buy her something symbolic. 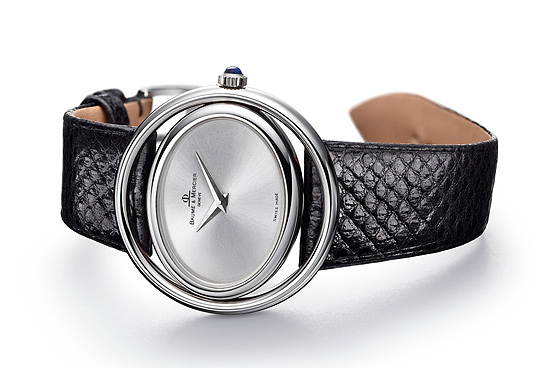 The elegant, new “Promesse” watch from watchmaker Baume et Mercier would do nicely. It’s sleek and stylish, and you could even engrave something on the back, like, “Mom, I’m sorry my skull is gigantic” or, “Hope this makes up for your years of nightmares” or even something sweet, like, “I love every second I spend with you, Mom”… aww, see? I’m a mom and got weepy just coming up with that idea. Do it. You’re guaranteed to be her favorite kid after this and not just because your sister Susan married a poet. Maybe she works really hard, and maybe she doesn’t. Maybe she cooks like a gourmet chef, and maybe she doesn’t. Maybe she cleans every day, nonstop, and maybe she doesn’t, but what she likely does, is love you, and in this day and age, that still stands for something. Diamonds are eternal. Even when they’re lost, they still exist somewhere, or on some lucky tourist who happened to ride the ferry shortly after they fell from your ears. They represent the notion that *something* can last forever, and while 36% of marriages of women twenty-years-old or older end in divorce, as a society largely centered around marketing, we can’t let facts stand in the way of what we want romance to be. And so, diamonds are there for us; for every dream we know will likely not become reality. They’re there to tell the world we’re engaged, or that we’ve just had a baby, or that our husband really loves us at Christmas time. And frankly, as a diamond lover, I have no damned problem with that at all. Yes. I said it. I’m just… that… shallow. 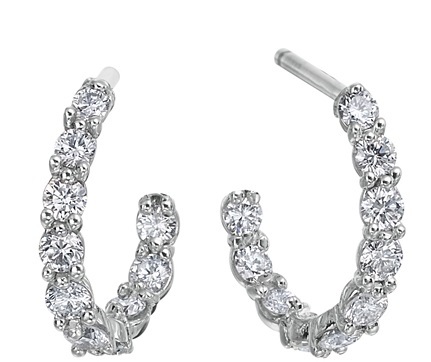 If you’re a husband (or, a wife), I suggest replacing those lost studs with these timeless “New Moon” earrings by GUMUCHIAN. I wear mine every day, and I promise you that your significant other will do the same, until she loses them on her third ride in a row on Space Mountain. Repeat after me…. “Rat Poison Is Not A Gift.” Say it again. And again, more slowly. Good. Now, let’s talk about an actual gift for the woman credited for giving birth to your spouse, whether you like it or not. What does one get for the woman who knows has everything? Well, I would suggest starting with something fresh, to guarantee it’s a gift she doesn’t already have. Maybe something that reflects her personality… like, say, Medusa! You know, “Near them their sisters three, the Gorgons, winged with snakes for hair— hated of mortal man—” THAT Medusa! The evil one whose glare turns men to stone. 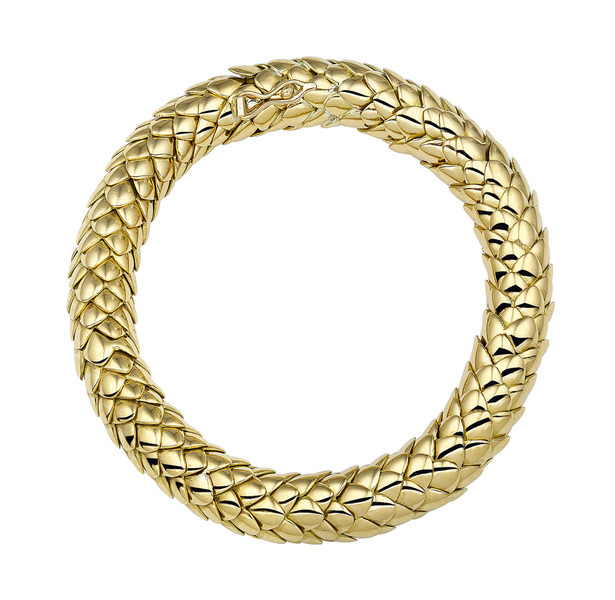 Is this Madstone “Medusa” ring not the ideal present for her? You don’t even have to tell her it’s Medusa. 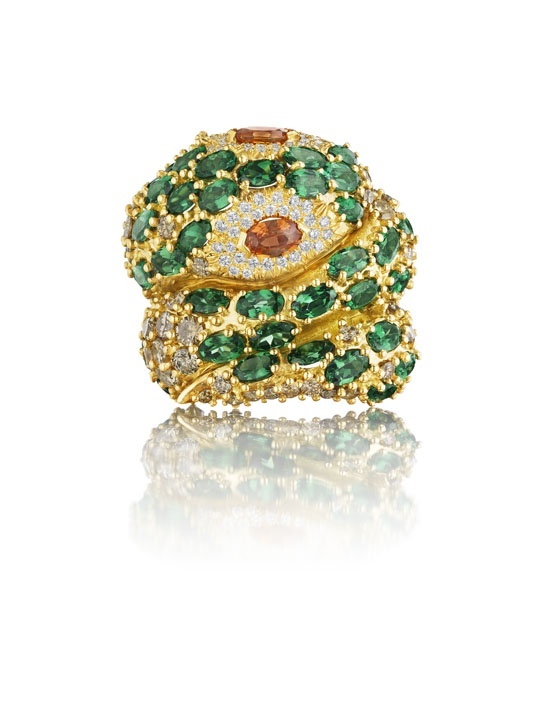 Just let her think it’s a really beautiful ring with gorgeous gemstones and sleek yellow gold given to her by her favorite non-blood family member for Christmas. Only you will know all that it represents as she shows it off at her monthly Bridge game. Take that ssssssssssssecret to your grave, champ. Yeah, you heard me. In my mind, your boss is a woman BECAUSE THIS IS 2014 but mostly, because vaginas. You better get used to taking orders from women if you don’t already, because our day is coming. Our day is coming. What better way to show your boss that you believe in the empowerment of women than with a bracelet made by sister design team, Lexmond vs. Lexmond? This stunning yellow gold “Palm Tree” bracelet could also serve as a subliminal message by reminding your boss that you desperately need a Caribbean vacation. I’d wrap the bracelet around a bottle of Malibu rum if I were you, just to, you know, get her drunk enough to agree to it. Not that I think that all women drink, it’s just that, well, I’m a woman, and we pretty much all drink. If you even go near that Pandora counter, I’ll kill you, and I’m not saying that as a euphemism. THIS IS YOUR BEST FRIEND, PEOPLE. She is your soil; the ground that your roots dig into when the winds are blowing fast and the rain is falling hard. She deserves a gift that represents her place in your world, because family is more than a name and some DNA. 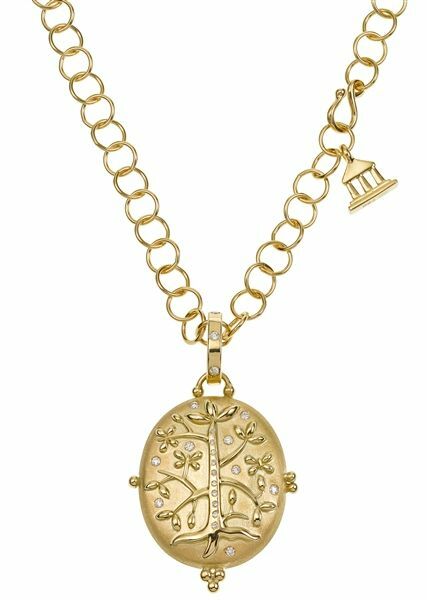 This fabulous Temple St. Clair “Tree of Life” locket is the ideal present for your forever friend. She’s probably not expecting it either, because friendship, to her, requires no reward. And that’s all the more reason to adorn her this holiday. Maybe you have a mistress. If you do, this could be helpful. Maybe you are a mistress. If you are, feel free to thank me for putting you in the list. Maybe, a mistress ruined your marriage. If that’s the case, read on, anyway. Trust me on this one. You’ll be happy that you did. That’s right, my dear… a wedding band. But Jeebus knows you’re not giving her one of those, so hey, how about some fancy earrings, instead? 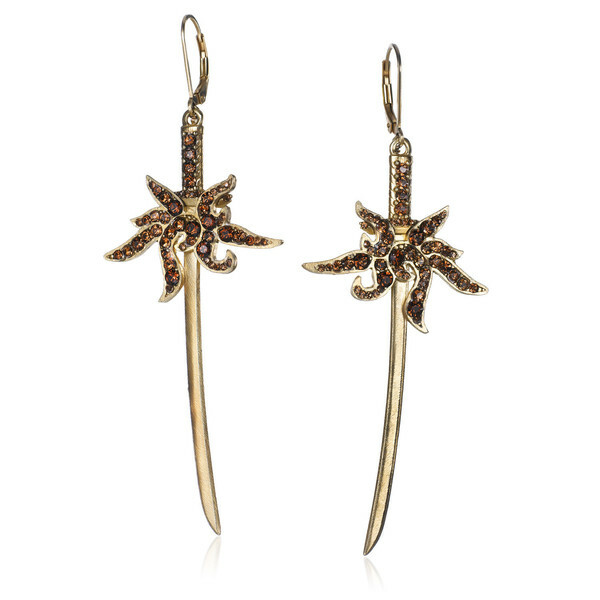 These brand new “Flaming Blades” from Kendra Bridelle would be perfect for your mistress since she’ll likely stab you to death eventually and set fire to your bloody corpse, anyway. MERRY CHRISTMAS, BIG GUY! AND A HAPPY NEW YEAR, TOO! Hope you all enjoyed this little gift guide. In all seriousness, I love every piece of jewelry I chose in this post and I’m sure the person receiving any one of them would be thrilled. Have a safe and wonderful Thanksgiving, everyone! I wonder why you kept the best for wife and mother-in-law? I guess you are a practical person who has seen life and you know, by keeping your ma-in-law happy, half the battle is won.